We’d love your help. 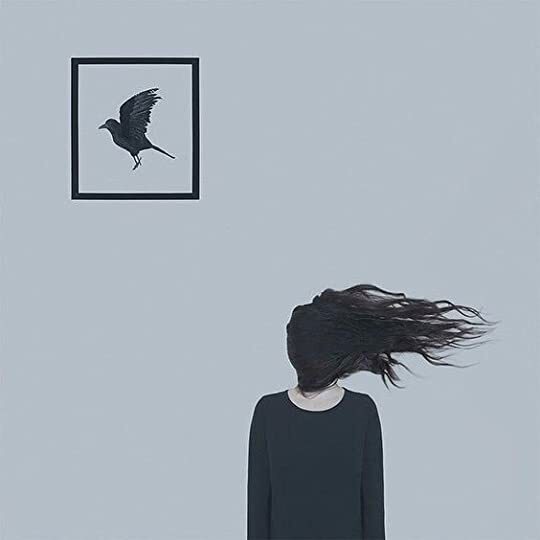 Let us know what’s wrong with this preview of Bird by Crystal Chan. A girl who was born on the day her brother Bird died has grown up in a house of silence and secrets. When she meets John, a mysterious new boy in her rural Iowan town, those secrets start to come out. To ask other readers questions about Bird, please sign up. Joy is like a child… You feed it or it dies. Where was all this joy, and where does joy go when it leaves your family? Does it goes to someone else’s family, soak into the earth, or does it dissolve away like your breath in the winter? And if it doesn’t leave like this, then why isn’t there any left for me? This was the 7th out of 8 novels that were selected for the KJV contest 2015-2016 and by far one of the finest young adult novels of the selection. Bird pleasantly surprised me: I wouldn’t have picked a novel dealing with intense emotions like anger, loneliness and grief responding to the loss of a child, about grief, guilt and remorse freezing the affected family spontaneously. I was delighted this sublime debut novel really resonated with the boys in the YA discussion group I had been assisting. They were genuinely amazed by the artful skills of the writer, the credible evocation of a world entirely unfamiliar to them (what magic does Chan use that I actually believe this weird story could have happened for real, one of them exclaimed). Feeling privileged by observing this breathtaking moment of consciousness-raising on the power of words with these 13 year old boys, I optimistically got home with a broad smile on my face, enjoying once more the connectedness books induce between people. In my house we wield silence like shields and swords: we use it to push people away or injure them. As Jewel feels unseen and unwanted by her family, she creates her own secret places to withdraw herself to. Not an ordinary girl, she climbs into trees at night to meditate on her life – occasion on which she meets another outsider, who will become her only friend, a soulmate with a similar zeal for science, particularly for astronomy and space travelling. Observing her family from a distance, she eventually wants to find out what the omnipresent silence at home is covering up and what she is not supposed to know about the death of her brother. The encounter with her new friend stimulates her to look for new horizons, broadening her mind and breaking the silence. Jewel’s insightful reflections and lovely observations make up a great deal of this novel’s charm. And the story is written in gorgeous, poetic prose, with an outstandingly vivid depiction of nature – trees, birds, landscapes, rocks and the weather. Poignant, beautiful imagery relates the characters to natural phenomena; Jewel’s friend, a boy much out of place like herself, is like the erratic granite boulders swept away by glaciers aeons ago, ending up million miles away from the roots. The significance of nature to Jewel almost turns nature into a character itself, not just an decorative element, but profoundly bound to the lives of the characters. The references to Jamaican culture are how Chan deals with the themes of superstition, belief and fate are imaginative, original and convincing. Bird really surprised me--the writing was absolutely spectacular, I loved the prose so much and I found it hard to put it down because of it. Crystal Chan also mastered the characters. They are perfectly flawed (which sounds awfully contradictory) and I felt myself growing onto them when I close the book. The presence of family is obvious and the drama within was also handled well. You know what? Bird ticks all the boxes for a successful contemporary novel. A lot of things happened when Bird died. Jewel was born, her grandfather stopped speaking and her family was left in a grief that never seemed to have an end. Jewel's parents blame Grandpa. See, Bird's real name was John but Grandpa said he looked more like a Bird, they way he flapped his arms so much--as if he was about to take flight. And when Jewel was born, Bird took this chance to go to the cliff and see if he could really fly--his father even claims that it was the duppies (spirits). But he could not fly. When Bird jumped, he fell, down down down to his death. I closed my eyes as I stood there, my back muscles relaxing, my arms stretched out, settling into their openness. I didn't know how long I stood there, but I listened to everything I could, to the mice rustling through the leaves, to the bending grasses, to the hollowness of the air over the cliff. I know I only have this 4.5 stars even though I've mentioned no flaws--but I'll be honest, I don't give those out until I get blown off my feet completely. Still, I highly recommend this to all readers--not just contemporary fans. A novel about acceptance and forgiveness, finding yourself and that making mistakes is totally okay. I am eagerly waiting for the author's next books--she better write more because this beautiful prose should not be just just shown off in one book. This middle-grade book has gotten much attention, and rightfully so. Chan has a fluid, wise, poetic prose style and a large heart that leaves everything on the page. As someone who is biracial, I wish I had had this book growing up. The narrator, Jewel, is of Jamaican and Mexican descent, and Chan manages to weave in culture, geology, astronomy, and the supernatural all in one touching tale of loss and healing. In a world where children are becoming slaves to the screen, I wish for them Chan's w This middle-grade book has gotten much attention, and rightfully so. Chan has a fluid, wise, poetic prose style and a large heart that leaves everything on the page. As someone who is biracial, I wish I had had this book growing up. The narrator, Jewel, is of Jamaican and Mexican descent, and Chan manages to weave in culture, geology, astronomy, and the supernatural all in one touching tale of loss and healing. In a world where children are becoming slaves to the screen, I wish for them Chan's world of cliffs and trees, and grasses and lakes. And while this is for younger children, teens and adults are reading it and getting much from her artfully woven story. When I first heard about Bird from Text I felt really excited. It sounded gorgeous and special and a little bit mysterious. Plus the cover is seriously something else (in person it is even more striking). I dove straight in the day it arrived and had no idea what to expect. It took less than a paragraph to feel hooked, and less than a chapter for Jewel to set up camp in my heart. Jewel is my favourite kind of heroine: fierce and creative and lonely and marching along to the beat of her own drum. Jewel is my favourite kind of heroine: fierce and creative and lonely and marching along to the beat of her own drum. She's daring and smart and unashamedly stands out from the crowd. She's surrounded by a tragedy that's coloured her entire existence and yet her optimism shines, thumps along even as danger and mystery shroud her. Things go from bad to worse and revelations leave her (and us - the readers) reeling. It wasn't just Jewel (love her) or the mystery (I had no idea how things were going to turn out) that kept me turning the pages -- Chan's prose is truly gorgeous, just the right blend of humour and sentiment, poetic but never flowery, succinct and cutting right to the core of emotions. The dialogue is awesome, and being inside Jewel's mind is a treat -- she thinks beautiful and unexpected things, ever hopeful and always loveable. This book feels like it was a labour of love -- and it makes it a treasure to behold. My reviews always tend to focus on how I responded to a book -- I like to leave the plot a surprise, but here's a taste of what you will find inside Bird: small isolated town (the setting is sublime, engaging all the readers senses), Jamaican culture, a mysterious and fun new friendship (but can it be trusted? ), duppies (discover for yourself...), family secrets and a heroine with a heart so big she bursts from the page. Jewel is younger than the usual YA heroine - but she's a perfect voice for upper MG, YA and adult readers to connect to. I'm actually procrastinating this review! (Proof: I just found this super sweet GIF of Sam and Frodo after they nearly drown.) Why am I procrastinating? It was so dang good I can't turn it into words! It's totally sad and beautiful all at once. Can I just mention that this is a debut?! Imagine how fantastic the I'm actually procrastinating this review! (Proof: I just found this super sweet GIF of Sam and Frodo after they nearly drown.) Why am I procrastinating? It's totally sad and beautiful all at once. Can I just mention that this is a debut?! Imagine how fantastic the author is going to be with her next book...and her next. The writing is stunning. At times, I'd have preferred the paragraphs to be shorter. But the imagery was beautiful. The voice of the narrator (Jewel) was so intimate and relatable. The characters? I looooved the characters. It's narrated (in first person) by Jewel. Can you imagine being born on the day your 5-year-old brother died? She doesn't even know the person her family have spent the last 12 years grieving about. I got very riled up as I read the book...Jewel feels unwanted and unloved. Her parents...argh! Her parents! They blamed her for things they did. They never had time for her. I love how she finds a friend in John. I love the simplicity of their friendship. Climb trees. Eat. Awesome friendship. See how hard it is to write a logical review? I hope you appreciate what I'm going through. Is it Middle-Grade or Young-Adult? Jewel is 12, which makes it MG, right? But it deals with so many themes: superstition, feeling unwanted, death, being mixed-race, complicated families, betrayal, and friendship. Those are BIG things to cover in any book! I felt the voice was definitely tailored to younger kids, but there is a lot to chew on. It's not light and fluffy. Bird is Crystal Chan’s debut novel. Set in Caledonia, Iowa, the story revolves around twelve year old Jewel Campbell. Jewel lives with her parents, her grandfather, and their grief. On the day of her birth, her five year old brother jumped off a cliff, believing her could fly. Her grandfather has never spoken since that day and Jewel has lived with the feeling that she is a sub-par replacement to the son her parents loved so dearly. I was hooked as soon as Jewel started telling her story; she’s so lonely, honest, and desperate for love from her parents. She’s never celebrated her birthday, she lives with parents that pay so little attention to her that she regularly sneaks out of the house at night, going for walks and climbing trees. The only grandfather she knows is an angry, silent one. Her father has drummed into her the importance of protecting their house from duppies, and she can recall the rare occasions on which her mother truly smiled. Her life was so, so sad and I wanted to snap her parents out of their stupor and make them love her like she so deserved. I found the writing beautiful and clever; I adored that when Jewel used similes they related to her love of geology eg. ‘John’s face went hard, like onyx’ and ‘She always looks for wrinkles or something on her smoky quartz skin’ – this added to the depth of Jewel’s character and showed how much thought went into creating her. The family dynamic was explored closely; it was interesting to see the traits Jewel had inherited from her parents and the ways in which she dealt with her anxiety. The addition of her father and grandfather's Jamaican culture was unique and well researched, I loved the power that the music and food had over them, how they helped to forge new relationships. The mystery surrounding Bird’s death and the appearance of new-John was so intriguing and it all came together so well. After all the sadness I found the amount of hope at the end was just perfect. After finishing this book I could not shake the sadness that permeated my heart, I felt wrung out from crying. Bird is beautifully captivating, absorbing, and utterly heartbreaking. I cannot recommend this book enough, to both YA readers and adults. I know it’s only January but it’s not too early for me to say that this is one of my favourite books of 2014, and of all time. Thank you to the wonderful people at Text Publishing for my review copy. Nothing matters, I realized. Only Bird Matters. And he flew away. I found Bird to be a beautifully written novel of grief, friendship and the idea that although things might not always be what they seem, things can still work out in the end. Crystal Chan has used some evocative imagery throughout the book to set a lovely scene for how one girl grows through her new experiences. As Bird's life ended, Jewel's was only just beginning. On that one fateful day her brother John believed he could fly, and jumped off the cliff as a result. Jewel's grandpa stopped speaking after that. Her father takes after grandpa in his belief in spirits and that is was 'duppies' which made Bird (John) do what he did. As Jewel's family is still trying to piece things together and patch the hole that Bird left in his wake, tensions rise and the cracks begin to show. Through meeting a new friend and realising what else is out there with the importance of the cliff, Jewel develops as a character and grows as a person. What the author did superbly well with this book was write it with such pictorial language. Everywhere, scattered throughout the story were some lovely similes and metaphors which immediately added to the depth of the novel and its potential. A book that is simply entertaining is one thing, but to be written in such a beautiful style is another talent altogether. The vivid descriptions of the cliff and how it felt for Jewel to be there were executed perfectly and really set the scene for the reader in their minds. Also, the characters in the book were all distinguishable and unique with their own special features. Jewel was a great character in particular, and the author captured her age on the cusp of adolescence really well. The rest of her family were also invested in, and each had both their perks and downfalls. The drama that ensued in certain parts of the novel gave it a sense of reality and fit in well with what was going on in the story. Jewel's relationships with her parents and new friend John were more complex than they first appeared. Everything that Crystal Chan envisioned in the characters came through clearly, with enough subtlety to match the writing style. Bird was a beautifully haunting and poignant story about love, loss and how sometimes a family needs to fall apart before we can put it back together. Jewel is an intelligent and empathetic young lady, who deserves to be seen, to be nurtured and to be loved. Her parents may not have intentionally placed expectations upon Jewel, but Jewel certainly has. She sees herself as the replacement child for her brother Bird. Where Bird had the best of her family, now Jewel getting only what remains. Her story is incredibly sad, until John enters the picture. John shares his name with Bird, his real name that is, and may even be a mirror of what Bird may have looked like at the same age. The family believe it may be a sign, whether one of evil or not is yet to be seen. Unbelievably, this is a debut novel. Crystal Chan is a storyteller who paints a vivid picture for her readers, and fills it with indepth characters that will take your emotions to the limits. I absolutely loved Jewel's character. She may be only twelve, but she felt like an old soul that deserves more than what life has given her. Her parents weren't cruel, but too busy grieving for Bird, that even twelve years later they can't find the strength to provide a life for their living child. With no one to talk to, Jewel finds solace in the earth. Each grievance is placed upon a stone and buried, using it as a coping mechanism as she's scared to upset her parents any further. It takes her grandpa who begins to form a relationship with Jewel to see how special this young lady truly is. Her journey was heartbreaking, often leaving me highly emotional which for me is the sign of a brilliant author. As the story built and reached a crescendo, I found myself quietly sobbing, smiling and sighing. My experience with Bird by Crystal Chan really reaffirms my love of audiobooks. See, this is a book I NEVER would have picked up were it not for the fact that I’m powerless against a celebrity narrator. The blurb of the book really didn’t appeal to me, but Amandla Stenberg is adorable, so I had to try this book. Though it’s very much not my usual type of book, Bird by Crystal Chan really worked, particularly due to Stenberg’s performance. Okay I just finished this and I'm still wiping the tears away. "Grandpa stopped speaking the day he killed my brother John". Yeah that's the first sentence in this book so if you have a heart at some point your going to cry during this book. This is a must read. Seriously. I didn't want to put it down. My ARC of Bird was sent to me by the publisher through Goodreads First Reads giveaway. I was not obligated to write a positive review. This is my full and honest opinion. Cover Blurb: Yes or No? There's nothing very exciting about the cover art, and normally I wouldn't pay it much mind. But I do have a thing for silhouettes, and once I saw the silhouette I decided to read the synopsis. And that's what really caught my attention. Intrigue-level aside, it is aesthetically pleasing. 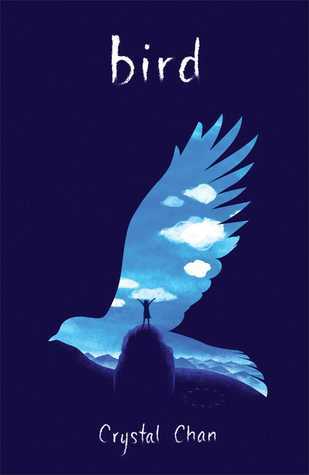 I love the blue- My ARC of Bird was sent to me by the publisher through Goodreads First Reads giveaway. I was not obligated to write a positive review. This is my full and honest opinion. Cover Blurb: Yes or No? There's nothing very exciting about the cover art, and normally I wouldn't pay it much mind. But I do have a thing for silhouettes, and once I saw the silhouette I decided to read the synopsis. And that's what really caught my attention. Intrigue-level aside, it is aesthetically pleasing. I love the blue-purple color and the watercolor style of it. Characters: Jewel was easy to emotionally connect with. She tries to do everything her parents ask of her, including never talking about what happened to her brother, and they constantly ignore her and never listen to what she needs or wants. Normally, a character in this situation can come across as bratty, but I totally sympathized with Jewel and really didn't like her parents all that much - especially her mom. It took me a while to warm to the "mysterious boy" - John. He had a great sense of humor and listened to Jewel like a good friend, but at times he was too disrespectful of Jewel's house and its rules. It made me want to slap it him, but overall he was a cool character. The Romance: There isn't any! I was worried at first reading about a "mysterious boy," but all Jewel and John have is a really good friendship. Plot: Everyone knows that it's Grandpa's fault that Jewel's brother Bird died when he was five. If Grandpa hadn't given him that nickname, it wouldn't have attracted a mischievous spirit - a duppy - that convinced Bird that he could actually fly. And Bird would not have leaped off that cliff. Ever since that day, Grandpa has never said another word. And on the day that Bird died and Grandpa lost his voice, Jewel was born. All her life, her family has been cast in shadows and sorrow because of Bird's death. No one will talk about it and her parents are too wrapped up in their old grief to pay much attention to their daughter. Jewel has learned to keep her hopes and dreams to herself. She's definitely never told her parents that she visits the cliff where her brother died and buries pebbles for every concern and dream she ever has. One summer, though, things change. Jewel finds a boy sitting in her favorite tree, named John - the same name as her brother. Grandpa is convinced that John is an evil duppy come to take Jewel away, while her dad believes he at least is a bad omen. But Jewel thinks that John is something much more; a chance to change her life. John listens to her dreams for the future and he shows her how to laugh again. But she can't deny the odd coincidence of his name being the same as Bird's, or that the silence in her household has grown into anger and malice. Is John a duppy or just a boy trying to change Jewel's life for the better? When I first read the synopsis for Bird, I thought it either would be inspirational or would take a dark and twisted turn with the whole duppy concept. It took the first path. While there certainly is more to John than at first meets the eye, this is mostly an inspirational story about a young girl fighting to be heard in a family swept in unimaginable grief. I don't like inspirational reads. Nine times out of ten, they're depressing and have no real purpose. However, Bird wasn't one of those. I connected so deeply with Jewel and had such moments of frustration with her parents that I couldn't help but be swept away by the story. It was a very emotionally charged book. I don't normally get into books like that, but there was just something about this one that wormed its way into my heart. Believability: Nothing to complain about. Writing Style: First person, past tense. Jewel has an excellent narration voice. It's emotional, it's hopeful, it's filled with pain and a burning need to be seen by her family. The descriptions are rich and deep; I just couldn't help but be pulled in by it. I felt Jewel's emotions almost as if they were my own, and that's hard to do in a story - to get your Readers to feel everything the protagonist does. Conclusion: Probably the most emotionally charged moment in the book, and also surprisingly intense. I felt Jewel's fury building and I knew it would end it relative disaster. However, this isn't a bittersweet ending - not exactly. And that's part of why I liked Bird so much. I hate inspirational reads that end with everyone dying of illness or killing themselves. This isn't one of those. Every once in a while, I will find an inspirational read that I actually like. Bird was amazing; I laughed, I cried, I got incredibly angry at certain characters, and fell in love with others. There was just nothing about Bird that I didn't like. Yılın bitmesine daha çok var ama şimdiden bu yılki en favori kitabım belli oldu. Çok uzun süredir,belki de birkaç yıldır, beni bu kadar etkileyen bir kitap olmamıştı. Jewel Iowa'da yaşayan Jamaika-Meksika'lı bir kız çocuğu. Abisi John a.k.a ''Kuş'' büyük babası yüzünden uçurumdan atlayarak uçmaya çalışıyor ve 5 yaşındayken ölüyor, aynı gün de Jewel doğuyor ve ailenin hayatı alt üst oluyor. Kuş'un ölümünden sonra büyük baba hiç konuşmuyor, anne babası da her zaman sessizlik içinde. Jewel da Kuş'un Yılın bitmesine daha çok var ama şimdiden bu yılki en favori kitabım belli oldu. Çok uzun süredir,belki de birkaç yıldır, beni bu kadar etkileyen bir kitap olmamıştı. Jewel Iowa'da yaşayan Jamaika-Meksika'lı bir kız çocuğu. Abisi John a.k.a ''Kuş'' büyük babası yüzünden uçurumdan atlayarak uçmaya çalışıyor ve 5 yaşındayken ölüyor, aynı gün de Jewel doğuyor ve ailenin hayatı alt üst oluyor. Kuş'un ölümünden sonra büyük baba hiç konuşmuyor, anne babası da her zaman sessizlik içinde. Jewel da Kuş'un yedeği olarak mutsuz bir şekilde büyüyor. Jewel görünmez hayatına devam ederken bir gece ağacında onun yaşında olsa Kuş'a çok benzeyecek olan John'la tanışıyor ve hayatını bir başkasının hayaleti olarak yaşamaması gerektiğini fark ediyor ve hayatında ilk kez gerçek anlamda arkadaş ediniyor. John ve Jewel ufacık bir kasabaya hapsolmuş kocaman insanlardı aslında. Okuduğum en farklı karakterlerdi. John'un hikayesi de farklı bir koldan ilerliyordu. Kime daha fazla üzüleceğime karar veremedim kitap boyunca. Kitaba başlarken RS'de gibiydim ve çok da ümitli değildim kitaptan. Kitabı bitirirken de RS'deydim çünkü bu ikilinin üzerine başka karakterlerle tanışmak istemedim. Ama siz mutlaka tanışmalısınız Jewel, John ve Kuş'la. Inspired by nature, superstition, and tradition Bird by Crystal Chan is a stunning middle grade debut. In a small Iowan town Jewel is born on the day her brother dies. Now 12 years old for Jewel living in a home filled with silent grief and secrets is all she has ever known, until she finds a boy in her favorite climbing tree. I thoroughly enjoyed this read, the writing style is so down-to-earth. Chan takes time to beautifully describe our connection with the natural world, a central theme in th Inspired by nature, superstition, and tradition Bird by Crystal Chan is a stunning middle grade debut. In a small Iowan town Jewel is born on the day her brother dies. Now 12 years old for Jewel living in a home filled with silent grief and secrets is all she has ever known, until she finds a boy in her favorite climbing tree. All I can really say about this gorgeous book is that it resonated a lot with me. I randomly picked this up because it looked and sounded interesting and I was taken by surprise. I was not disappointed at all. A very refreshing read and it made me realise that I'd love to see more YA Fiction novels from the perspective of younger teens. Rather than the 15-16 age group it would be interesting to see more novels from the perspective of a twelve year old as the mindsets of the different ages is very All I can really say about this gorgeous book is that it resonated a lot with me. I randomly picked this up because it looked and sounded interesting and I was taken by surprise. I was not disappointed at all. A very refreshing read and it made me realise that I'd love to see more YA Fiction novels from the perspective of younger teens. Rather than the 15-16 age group it would be interesting to see more novels from the perspective of a twelve year old as the mindsets of the different ages is very distinct and refreshing to read from. Loved the beauty of the language in this story! Bu kitap nasıl köşede unutulur? Kederi anlatan güzel kitaplardan üstelik küçük yaştaki bir çocuğun gözünden. Sessizlikler, yürek burkulmaları, mutsuzluklar... Severek okudum. This story is beautiful and oh how it makes my heart ache. Jewel has a wonderful spirit that shines through despite the grief that she feels and that surrounds and even strangles her family. Erzählt aus der Sicht der zwölfjährigen Jewel hat diese Geschichte eine ganz magische Atmosphäre, die sogar leicht an Allendes 'Geisterhaus' erinnert. In einer ausgesprochen poetischen aber dennoch glaubhaften Sprache werden wir in die Gefühlswelt der Erzählerin mitgenommen. Hin und her gerissen zwischen einem stummen Großvater, einer äußerst rationalen Mutter und einem Vater, der fest an Geister, Zeichen und Flüche glaubt; Eltern, deren Ehe den Tod ihres ersten Sohnes noch nicht verkraftet hat, sucht Jewel Orientierung und Identität. Ein Buch, was mit jedem Kapitel besser wird. Jewel was born the day her brother John ‘Bird’ died. On that day, Jewel’s birthday, her Grandpa stopped talking and the whole family became quiet and sad … and they’ve stayed that way for the last 12 years. “You’re not Jewel was born the day her brother John ‘Bird’ died. On that day, Jewel’s birthday, her Grandpa stopped talking and the whole family became quiet and sad … and they’ve stayed that way for the last 12 years. A little something tightened inside me, like it did every time I got this question, but I was used to it. Mostly. “I’m half-Jamaican, a quarter white, and a quarter Mexican,” I said. ‘Bird’ is the debut middle-grade novel from American author Crystal Chan. … until Bird jumped off a cliff, the cliff at the edge of the tallgrass prairie, the cliff that dropped a good couple hundred feet to a dried-up riverbed below. Bird’s little blue bath towel was found not far from his body, snagged on a bush, the towel that served as wings. This is a book about wounds that just won’t heal and what happens when loss and guilt get all mixed up in the here and now. It’s about the solace of friendship, and brings to mind that Frida Kahlo quote: “I used to think I was the strangest person in the world but then I thought there are so many people in the world, there must be someone just like me who feels bizarre and flawed in the same ways I do.” Above all else, Crystal Chan’s ‘Bird’ is beautiful. Jewel is a most intriguing young woman. She’s obsessed with rocks and hopes to be a geologist one day. She’s also struggling in her rural-Iowa town where she sticks out for her Jamaican/Caucasian/Mexican heritage. Crystal Chan herself is of Chinese/Polish descent, and offers up a real gem in the character of Jewel and her explorations into being mixed-race. This particular thread of the story really struck me, especially when you consider that the only other person who would have really understood what it’s like to be Jewel was her brother – John ‘Bird’. But he died, and so Jewel is navigating her childhood without the brother whose death stills casts a pall over the family. I loved the friendship between John and Jewel – a lovely balance between the astronomer and the geologist, one so grounded and the other always looking up to the Heavens. I especially liked their ambitions because it means the book is peppered with some interesting astronomy/geology factoids (all of which Chan has gathered on her website). In the second-half of the novel the focus shifts back to Bird’s death, and the loss, guilt and blame Jewel’s family have let broil beneath the surface for the last twelve years. I liked the fact that Chan gave the adults in Jewel’s life such complex, heartbreaking backstory … but these were events that happened when Jewel was just a baby and though she’s been living in their aftermath, by the second-half of the novel she’s not as proactive in her own story and turned into a bit of a bystander. And I did wonder if younger readers would pick up on the difficult nuances and revelations of the adult’s story – but at the same time I do appreciate that Chan lets her readers peek into such a complex, strained adult world. This is a really beautiful book – but by no means an ‘easy’ book, especially for young readers going on this emotional journey with Jewel. But Chan’s writing is delicate and heartbreaking, John and Jewel are a fabulous pairing and I loved this book about the reverberations of the past being felt in the present. I feel like I just received a warm, caring hug. It’s not something that will protect or shield me from the pitfalls of life, but it is a hug that tells me that I’m never alone. Summary: On the day Jewel was born, her brother Bird died. Ever since that day, Jewel’s life has been filled with silence and unspoken secrets about the past. Ignored by her parents and a grandfather who has not spoken a sing I feel like I just received a warm, caring hug. It’s not something that will protect or shield me from the pitfalls of life, but it is a hug that tells me that I’m never alone. Summary: On the day Jewel was born, her brother Bird died. Ever since that day, Jewel’s life has been filled with silence and unspoken secrets about the past. Ignored by her parents and a grandfather who has not spoken a single word since Bird’s death, Jewel escapes her loneliness by secretly going to the cliff, the cliff where her brother jumped off and believed he could fly. However, Jewel’s life slowly begins to change after she meets a mysterious boy, an event that begins to bring up questions and secrets of the past to the surface. Yeah, it sort of sounds like your typical YA novel (“girl meets boy who changes her life.”) But wait, don’t leave! This book is, in fact, not typical at all; Bird is a beautiful, heartfelt read filled with easy, rhythmic prose and characters that are painfully real. The novel opens on the day of Jewel’s 12th birthday, and readers are instantly introduced to her lonely and yet hopeful voice; Chan fills Jewel’s narration with lovely prose that will tug at your heart. The book has a small-town, secluded atmosphere that somehow is both gratifying in its quietness and calmness, and yet makes you understand the loneliness Jewel feels and the subsequent want she has for a life filled with smiles instead of silence. This is further enhanced by the wonderful cast of characters; the deeper the reader delves into the novel, the more and more layers of the characters are revealed. I got frustrated and angry at characters that I loved, surprised by characters that I was previously wary of…each character had depth as if they were truly living and breathing people. I never completely disliked any of the characters; they had faults that, if hard to accept, were realistic. And that’s life, if you think about it: no one is like-able (or un-likeable) a 100% of the time. Jewel is an understandable main character that I hold close to my heart. Conveyed with prose that is just so beautiful and yet simple, Jewel’s emotions clearly reach through the pages and wrap themselves around the reader. I connected with Jewel so well that I understood her joy at making a new friend, and her sadness at her discoveries that yet another thing was being kept from her. …Somehow, I’m making it sound like this book is some tragic, depressing piece of work. On the contrary, although this novel is deep and has the premise of dealing with death, there is also something uplifting about it. It does have its instances of sadness and loneliness and silence, but it has its moments of that instantaneous, overflowing happiness and joy too. There were moments that just made me smile and feel all warm inside, like I’d just been wrapped in a fluffy, warm blanket on a cold winter day. And that is the great thing about this book: in addition to its complex characters and relationships and heart-felt conflicts, it gives a sense of hope for the good in the future despite the bad that may have come before. Bird swooped in, gripped my heart and made it soar with its poignant, heart breaking story rippling with grief, and ending with hope. Jewel’s story is aching with heart break and lost moments, as her family seem to be a broken shell. She never knew her brother Bird, but feels his presence in everything around her – her family’s grief, her grandpa’s silence and anger, and her private place at the cliff. She’s an unlucky child w This review appears on Happy Indulgence. Check it out for more reviews! Jewel’s story is aching with heart break and lost moments, as her family seem to be a broken shell. She never knew her brother Bird, but feels his presence in everything around her – her family’s grief, her grandpa’s silence and anger, and her private place at the cliff. She’s an unlucky child who was born on the day her 5 year old brother tried to fly off the cliff and lives as a shadow in his former footsteps. All she’s known her whole life is a mum who is perpetually depressed, a father who believes in bad luck and duppies (spirits who bring bad luck) and a grandpa who has never spoken a word. Delivered through beautiful, lyrical writing that just flows off the page, Bird captures the youth and bewilderment of a 12 year old girl in a grieving family. Jewel is just beginning to understand her struggling identity and family’s flaws, so when she meets John, a boy who shares Bird’s namesake, she finds someone who can finally understand her. I didn’t trust myself to speak. How come my parents, who I’ve known all my life, didn’t understand why I come to this place, but John, who I met just a couple days ago, did? How can trying to make someone understand take more than a lifetime, and someone else less than an instant? The characters are all flawed but in a realistic way, with Jewel’s family full of quirks and superstition, John coasting between being unlikable and likable, and Jewel herself both loving and hating her family. Seeing the characters slowly evolve over the course of the book was an absolute delight, as Jewel finally learns who she can trust and finds an unlikely friend in her grandpa. I’m still ambivalent about John, who would say disrespectful things about her family here and there, but then again, was a real friend to Jewel. I’ve never read a book that featured Jamaican superstitions and traditions which was such an unusual, magical world for me. Duppies, superstitious charms and curses all have a play in the story along with reggae music and lots of rice. The sky was never so big. I felt like an ant making my way over the dark earth as I ran on the finely ground gravel road, up the little swelling hill, and then back down it on the other side. In a strange, uplifting turn of events, the book ends on a high note that makes the journey worth it. Bird is a stunning debut about a lost girl in a grieving family transforming into one who finally finds her place and makes peace. The emotion of the novel is felt through its every word, it’s beauty witnessed in its prose, and the growth of its characters, death defying. I thoroughly enjoyed the journey that Bird took me on, and I think you will too. Bird, this novel that hit me hard but left me the pieces to put myself back together was more than I expected when I opened the pages and I started to read about Jewel and her family. She was born the night her five-year old brother decided to fly off the boulder because his name was Bird and he had dreams of flying. Imagine celebrating your birthday every year while your parents are grieving over the loss of a child, it’s really not much of a celebration. What happened on the day of her birth, Bird, this novel that hit me hard but left me the pieces to put myself back together was more than I expected when I opened the pages and I started to read about Jewel and her family. She was born the night her five-year old brother decided to fly off the boulder because his name was Bird and he had dreams of flying. Imagine celebrating your birthday every year while your parents are grieving over the loss of a child, it’s really not much of a celebration. What happened on the day of her birth, Jewel will soon find out but her world is consumed right now with a grandfather who does not speak, two parents, a battle at home about superstitious duppies and her new friend John. Jewel wishes she knew why her grandfather doesn’t speak but no one wants to talk about it. His constant vigil for the duppies and his antics for resistance had me questioning grandpa state of mind. John, Jewel’s new friend from down the road, proves to be a good outlet for her. She is able to relax and the two of them tell stories and some secrets they both held deep inside. It seemed almost too perfect and it was, for things took a nosedive and I was left with my mouth hanging open. What just happened, really?!? Crystal Chan provided an excellent conclusion, one that provided hope, understanding, and affection. It was an impressive book from the beginning. Jewel was kept in the dark about her brother and about why her grandfather did not speak. Her parents do not talk to her that much and when she asked them questions, those questions get sidelined. Crystal did an excellent job with the pace of the book; there was never a lull in the book or a time where there was too much dialog or description. Grandpa was an interesting character, without having spoken any words, Crystal ability to describe his actions and his mannerism you understand his position in life and how he relates to the family. Truly an enjoyable read. When Bird died, his sister Jewel was born. Her grandfather stopped speaking and the family were left grieving, grief that never seemed to be coming to an end. Jewel’s parents blamed Grandpa for Bird’s death. This stemmed from Bird’s real name being John, but Grandpa said he looked more like a Bird. Bird took himself to the cliff one day, to see if he could really fly. He couldn’t. One aspect of this book that really grabbed me was Crystal Chan’s writing. Even from the first sentence, I was utter When Bird died, his sister Jewel was born. Her grandfather stopped speaking and the family were left grieving, grief that never seemed to be coming to an end. Jewel’s parents blamed Grandpa for Bird’s death. This stemmed from Bird’s real name being John, but Grandpa said he looked more like a Bird. Bird took himself to the cliff one day, to see if he could really fly. He couldn’t. One aspect of this book that really grabbed me was Crystal Chan’s writing. Even from the first sentence, I was utterly gripped. It didn’t take me much longer to fall in love with Jewel. She’s a fantastic character. She was lonely, yearning for love from her parents, but she was also strong too. I loved being inside her mind and experiencing her thoughts. She was often hopeful and always thought such beautiful things. I loved that all of Crystal Chan’s characters were flawed. It was realistic, especially because the family had experienced such tragedy. Bird is a mysterious read. It kept me turning the pages, because I wasn’t sure how it was going to turn out. I didn’t know if her new friendship could be trusted. I was intrigued by the duppies (I’ll leave it for you to learn about them), I loved how the Jamaican culture was explored. All in all, it just had such a wonderful plot and an engaging setting. I found it hard to put it down, but I made sure I did, so I could have a moment to reflect. Bird is a brilliant debut novel. I can’t wait to read what Crystal Chan writes next, because if she writes books this beautiful again, I’ve certainly found a new favourite author! This book was deep, moving, and poignant, written with simple language and beautiful prose. The story moved along nicely, the characters were heartfelt, and the story was moving. The story was both sad and joyful at the same time. The story was also unusual, and I enjoyed it that much more because of this. The author explored what could be considered a tragic concept and gave it depth and beauty, and used it as a basis for character growth. At the end of the day, all people want the same thing: l This book was deep, moving, and poignant, written with simple language and beautiful prose. The story moved along nicely, the characters were heartfelt, and the story was moving. The story was both sad and joyful at the same time. The story was also unusual, and I enjoyed it that much more because of this. The author explored what could be considered a tragic concept and gave it depth and beauty, and used it as a basis for character growth. At the end of the day, all people want the same thing: love. As they find their way toward this goal, they often both misunderstand and are misunderstood. I would definitely recommend this book to a friend. It was a good, solid read with the potential to impact its reader. However, it is labeled as a book for 8-12 year olds. As a mother of several children, one of them a 9.5 year old girl, I would not give her this book to read. Not yet. There is so much depth to this book that I think it is more appropriate for a reader with more emotional maturity. I think my daughter might just feel sad from reading it now, instead of seeing that sadness overpowered by the growth that occurs in the characters. When she is 12, then she might be ready for this book. Either way, whenever my daughters are ready for this book, I will be happy to recommend it to them. I won this book through goodreads first-reads and I loved it. It's really aimed at young teenagers I would say, but the simplicity in the writing made it such a relaxing book that I was immediately drawn in and felt calm just sitting down to read. The writing is beautiful. The story's lovely, especially the friendship that develops between Jewel and the boy that she meets. For me the best thing about this book were their interactions and their growing relationship. Two very clever children sharin I won this book through goodreads first-reads and I loved it. It's really aimed at young teenagers I would say, but the simplicity in the writing made it such a relaxing book that I was immediately drawn in and felt calm just sitting down to read. The writing is beautiful. The story's lovely, especially the friendship that develops between Jewel and the boy that she meets. For me the best thing about this book were their interactions and their growing relationship. Two very clever children sharing their interests, problems, secrets, and just trying to be children. Crystal handles the complex family dynamics well, I honestly couldn't wait to pick the book up whenever I could. Primeiramente é um livro triste desde a primeira frase do primeiro parágrafo. Os temas que encontrei aqui, como morte, amor, diferentes culturas, religião, luto, amizade, perdas, solidão, estão todos ligados e, embora não seja exatamente pesado, é um livro denso. Apesar disso, a escrita da autora faz com que a leitura seja rápida. O dia do nascimento de Joia desencadeia todos os fatos em que o livro se constroi, e muitas vezes foi difícil ler sem me emocionar com as palavras da menina. Ótimo! BIRD is a beautifully written story about a character who will climb into your heart and never leave. Lyrical prose, fully developed characters, and a compelling situation all combine to make this a must-read for anyone who loves middle grade literature. I was fortunate enough to read an advanced reader copy of this book, but you'll be able to find it at bookstores and libraries in January. An achingly poignant and beautifully written story of love, loss, coming of age, family bonds, and second chances. Fantastic debut, Crystal!